Admiral Nelson met his second greatest love (after the Royal Navy), Francis Nisbet on the Caribbean Island of Nevis. Looking great with your caps at the boat show guys! Exciting news on Docks! We have a new Lagoon 500 'Sea Angel' joining our fleet. She arrives on the 8th of July at Conch's Base. Check her out on our website! 'Show a Leg' may be the traditional encouragement for a sailor to wake up, but it originated from the old days of sailing when women were allowed to spend the night onboard and a hairless female leg thrust out of the hammock entitled the owner to an extra hours lie-in! The British Virgin Islands has been the new home for the visiting Royal Navy ship, HMS Protector, for the past few weeks. They are currently working to update the nautical maps used in the BVI waters as a part of their Hydrographic survey operation. The ship's 'Humanitarian aid and disaster relief team' has also spent 5 days training alongside with BVI police and fire officers as well as officers from the Department of Disaster Management and the BVI Airports Authority. This specialized training is so beneficial to the territory in making sure that everyone is up to date on current practices. Shake well and serve with crushed ice. Don't forget the umbrella and slice of orange to top it off! Off the eastern end of Jost Van Dyke on Long Bay close to Diamond Cay, there is a bar owned by Foxy. What is the name of the bar? Just been hauled May 2014 with fresh antifouling paint. All thru hulls, seacocks and fittings changed for new! The Gib Sea range are famous for their design and comfortable interior. 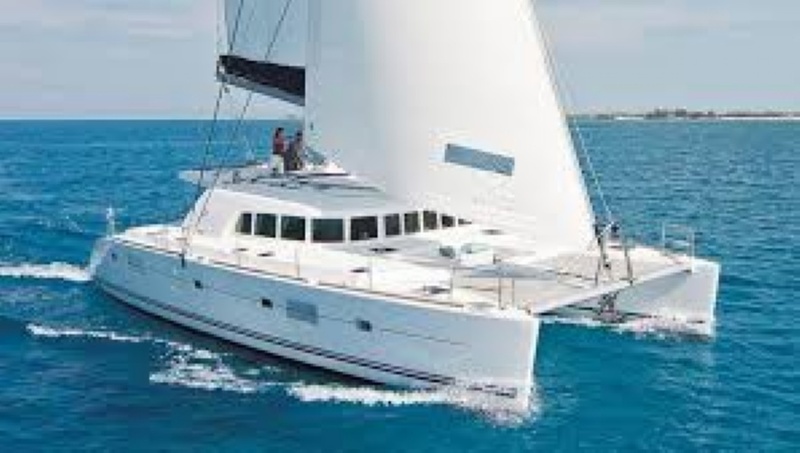 The Dufour Gib Sea 43 has twin helms, a low profile deck house, wide side decks with steel hand rails. This Gib Sea 43 has four cabins with a total of eight berths plus the saloon. It is a large cruiser built for long passages. Twin helms allow good all round visibility and allows for easy access to the transom swim platform. Below deck, taller crew will appreciate the additional headroom. This also enhances the feeling of space and light. As an all round cruiser the Gib Sea 43 is hard to beat. We are running out of your Conch Cap pictures… don't forget to send us your best shots!